Adopting a learning management software (LMS) is a good idea if you plan to provide online courses for your staff or students. It can be a problem though, if you choose one that doesn’t fit your company. LMS systems can have different forms, sizes, prices and features that can influence how well suited a service may be for your company. You should always make that fit your topmost priority when you’re looking for an ideal service. To help deal with that problem wrote down some useful tips and strategies you should keep in mind when looking how to find the best LMS service on the market. Why do you need an LMS? What are the key features you need? What is the price range you’re willing to pay? Can you trust this LMS vendor? Do you get a free trial for the LMS? What is the best LMS on the market? To help you answer that question our team of experts prepared a detailed analysis of all the popular LMS services on the market. After testing their features, integrations and customer support level as well as studying the pricing plans we selected top 3 LMS services of 2019. The pricing plan they offer is very flexible and you can easily sign up for TalentLMS free trial to explore its capabilities and meet one of the most responsive customer support ever. In case you don’t want to rely on the experts’ opinion alone though, let’s take a closer look at the features and factors you need to consider for a good LMS assessment. What’s the supported content format? Will your course material be in PDF, PPT, video/audio, or flash format? Many LMS systems can handle most popular files, but double check if your vendor supports the files you’re using on everyday basis. Moreover, anticipate what other file types that you’ll use in the future (for instance, you plan to level up the course content to include videos soon) and make sure the vendor supports it, too. What’s the most important feature? What feature you want to prioritize? Mobile support? API? Reporting? Collaboration? Most LMS systems today feature all these functions, but some LMS apps give more focus to some features over the others. Decide on your top feature of choice and go for the vendor that offers the best quality and support for this specific functionality. Do you need mobile platform support? 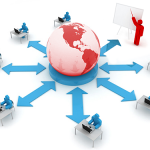 Are your learners gathered in one place are are they dispersed or working in the field? If you have the latter case, it’s better to consider an LMS with a mobile option to help your learners access the course anywhere there’s an Internet connection available. Does it meet industry standards? Does your LMS comply with any of these industry standards: SCORM, AICC, or TinCan? SCORM or Shareable Content Object Reference (SCORM) is a collection of best practices and specifications that develops a fixed learning path for users and allows them to bookmark their progress during breaks. SCORM also aims to standardize test scores in LMS for wider, cross-industry acceptance. TinCan also called the Experience API or Xapi is a specification that allows content modules and learning systems to exchange data to track and analyze the users’ learning experiences. 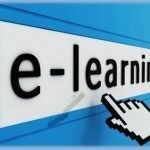 AICC or Aviation Industry Computer-Based Training Committee is embraced by e-Learning professionals across industries to develop, deliver, and evaluate learning guidelines used in the aviation industry. Who is using the LMS? If you have a big group of employees consider a mass user registration function. If you’re selling a course, make sure the LMS has a built-in e-commerce platform, or at least it supports any of the popular e-commerce software. Are there tracking and reporting features? These features are essential to assess the learners’ progress, but if you’re offering basic hobby courses, maybe these features are a tad too much. Conversely, if you’re offering post-graduate education or professional-level compliance training, you definitely need the more robust tracking tools to assess the learning experience and make adjustments in the learning pace, if necessary. Likewise, if your reporting needs are somewhere in the middle, consider getting mid-range features to achieve a cost-benefit balance. Can the LMS work with other business systems? If you’re a large enterprise, you may need to integrate an LMS with your existing CRM, back-office system, or talent management system to optimize your business processes. On the other hand, if you’re a small online business offering course modules, you should tie up LMS to e-commerce to take new subscriptions or CRM to address customer concerns. If you’re in for the long haul, a one-time license fee may be more cost-effective than a recurring monthly SaaS fee. If your LMS needs are only short-term, consider a SaaS per user per month setup. It’s affordable, scalable, and flexible, that is, you can cut short the subscription once you’re done with the LMS. You should also look for hidden fees that can take the form of setup fees, add-on fees, per course fees, and other costs stipulated in the terms. On the surface, LMS products seem to be a cornucopia of fruits from different seasons. But once you get to list down your priorities and answer the questions above, it’s easy to run a comparison on how to find the best LMS for your situation. You can also rely on our experts’ knowldege and try a free trial of TalentLMS.